I went to our local green grocer and bought this selection for a total of only 2.68€. They even had an offer of a free kilo of spuds if you spent over 5€. You can live pretty cheaply in Spain. French Sentence Builder by Eliane Kurbegov. The Physiology of Taste by Jean Anthelme Brillat-Savarin. Chrissie Welligton - A Life Without Limits. I've just read Chrissie Wellington's book, I really enjoyed it. Possibly because I know the most of the players and most of the venues but I think even a non-triathlete would have found it a good read. I didn't have high hopes after reading the first paragraph (of the foreword). Clichés came thick and fast, I've used them all myself - but that was twenty years ago. One other gripe - the front cover pic, hard to say why but . . . . . . no. The rest of the book settled down and I was carried along with Chrissie's story from Norfolk to Kailua Kona. Doc, Lessing and Scott came over just as I remember, in fact spot on. An honest book I thought, I'm glad I'm not Crissie or have her mind set; OTT doesn't begin to describe her! 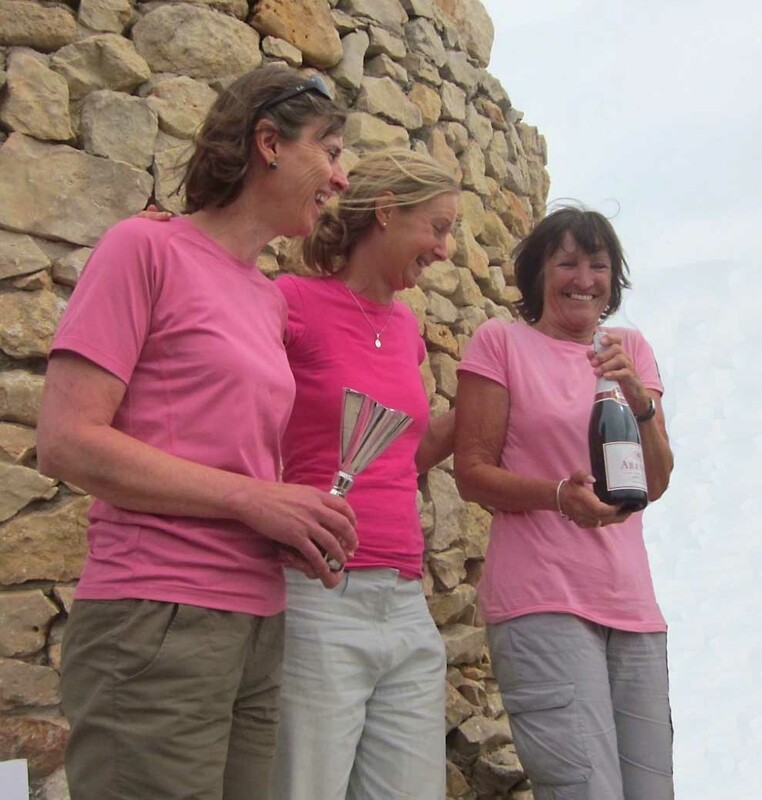 Sally and Christine and Annabelle teamed-up for the Mirador Challenge, a 27km walk/race round the Miradors or Viewing Points in Javea. They won first women's team and were also third overall!